In the Church today – at least in the part that I am most familiar with here in North America – there is a serious problem with prophetic words spoken over nations and regions. There are ‘national prophets’, some valid prophetic voices and others simply self-appointed, who speak over the nation or regions of the nations sending their prophetic words around the world via the internet. Many things are spoken of, promised, warned against, and even condemned or blessed in the Name of the Lord (and the Church). This is really more than an “insight” – it could almost be called a “prophetic warning”. I believe that God is speaking to His Church here in Canada and the United States and is warning us of a battle that is already raging for the hearts and minds of His people. First in the sense that they were chosen by the Lord Jesus to be with Him (Mark 3:13-14) and then to be the leaders of the early church after it’s birth on the Day of Pentecost. 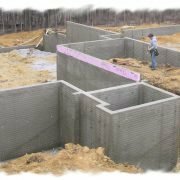 When building a house, as I did many years ago now, the most important part of the building is the foundation. Changes can be made to the structure of the house at any time – in fact, even now we are remodeling a major portion of our home. Walls, ceilings, fixtures are exchanged frequently but the foundation is created to last. We have been building all wrong. No wonder our churches are often such a mess and most often somewhat impotent. Statistics in North America indicate that we are not winning the lost – often we simply shuffle the saints. Percentage-wise we are not winning the lost as fast as the population is growing. Therefore, the percentage of the overall population that is born again Christians is smaller than a decade ago. You read the book of Acts and wonder how the church has become so pathetic and often apathetic. It is because we have not become prophetic and apostolic. 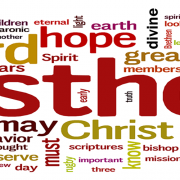 Ephesians 2:20 (The church) built on the foundation of the apostles and prophets, with Christ Jesus himself as the chief cornerstone.